An increasing number of applications today are based on consuming, processing, and producing data streams that take the form of time ordered series of events. Many of these applications, such as e-business process management, systems and network monitoring, financial analysis, and security surveillance, need to handle large volumes of events and produce results with low-latency, in a distributed computing environment. This has created a wide and growing interest in middleware support for event-based applications, exemplified by publish-subscribe systems, continuous query systems, data stream management systems, and complex-event processing systems, as well as integration support for distributed event processing, such as the Event-Driven Architecture (EDA). This new paradigm of distributed computing and data processing, which is based on event flows and event processing, has also created a vast number of new research problems in a wide area of topics, ranging from systems performance and scalability to programming models and language support to applications in real-time data mining. 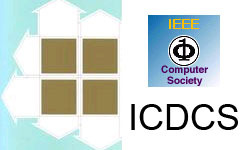 This proposed workshop is aimed to establish a forum that brings together researchers and practitioners from academia and industry to look at various aspects of event processing systems and applications, with the ultimate goal of evolving and expanding the capabilities and improving the performance and ease of use of event processing systems, and broadening the application of such systems to real-world problems.